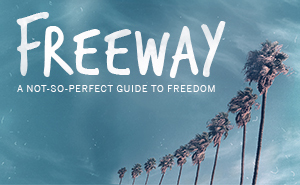 Freeway: A Not-So-Perfect Guide to Freedom, is a 7-part series by Pastor Matt that works in tandem with the small group study by the same title. This compelling series is designed to help us experience God’s love and freedom in life. Together we’ll share a life-changing journey to freedom.